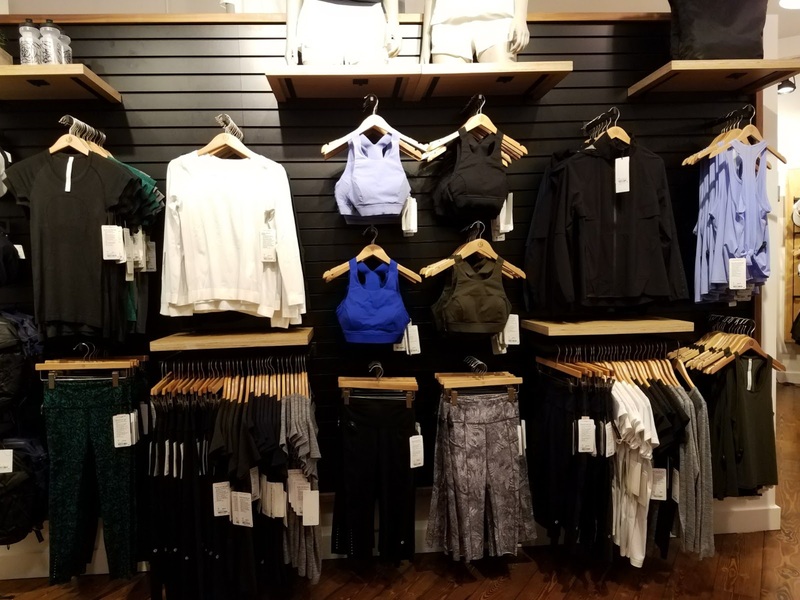 When I was contacted by Lululemon to participate in the Seattle launch of their Fast & Free Collection I was dumbfounded! Everyone knows the brand is luxurious and the créme de la créme of athletic wear, so the idea that I could be included in the launch was beyond exciting. I was told I'd be picking out a pair of their new Fast & Free Collection pants, featuring the innovative "naked sensation" Nulux fabric. This lightweight, quick drying material was designed to offer a barely there feel so you can focus on your workout and not the discomfort of your athletic wear. 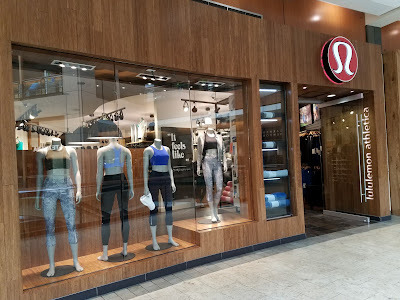 This was my first time in a Lululemon store (ever), so I was happy to receive such a warm welcome. 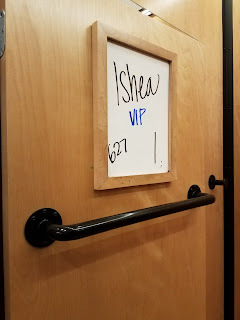 Sometimes it can be intimidating walking into a high end store, but the ladies were so friendly... before knowing I was one of the bloggers participating in their event. This helped me feel comfortable and get excited for the process of picking out my new tights! The pants come in 2 styles -- the Free 7/8 Tight and the Fast & Free Crop 19". Since I'm 5'2" I opted for the crop style which ended up hitting around my calf. I felt like the 7/8 Tight would've been a bit long on me and I prefer to workout in crop length gear. This was my first experience with the brand, so I wasn't familiar with their sizing. I usually range between a 10/12, so it was nice to see similar sizing in their pants. If you're new to the brand and unsure of what size you should choose, click here for their sizing guide. I chose a size 12 (XL) in the Fast & Free Crop 19" in black. Next it was time to put the pants to the test! We gathered at Orange Theory Fitness in Lower Queen Anne for their signature 60-min bootcamp. I'm a huge fan of bootcamps, but this was my first time at Orange Theory. Again, no clue what to expect but suffice it to say after an hour and some change I walked away with my mind blown! Amazing workout with a mix of water rowing machines, treadmills for cardio and free weights. Seriously in love with the format and looking forward to going again. So, how'd the pants perform? I joked with my boyfriend on the Lyft ride to Orange Theory that I'd forgotten I was wearing them. Corny? Yes... but very true. The nulux fabric is SO freaking soft and felt like it became one with my skin. 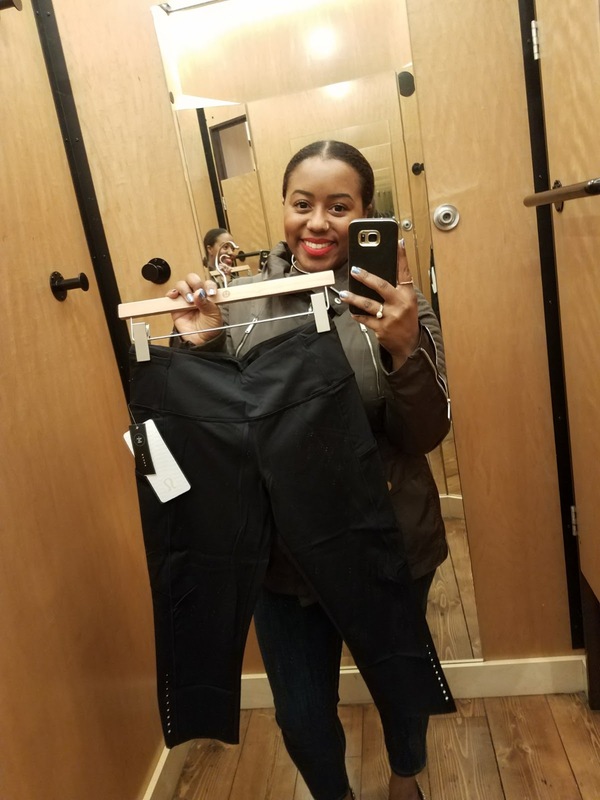 I've never really invested in great workout clothes, so I was actually able to tell the difference in feel and performance of the pants compared to what I typically wear. During the workout I didn't have to fidget with my pants. They have a higher waist (with a drawstring) and stayed in place the entire time. Between sitting up and down on the rower, sprinting on a treadmill and using free weights, the pants were "one with my body" and lived up to the hype of feeling "nearly naked". Though I was gifted a pair of pants for free, the price wasn't lost on me. They cost $118 real, American dollars and that made my jaw drop! Like, sis... hold up! These athletic pants are the same price as my Banana Republic Jeans. It was like rocking the Bentley of workout pants during that class. However, I will say, I felt the difference between rocking cheap pants for a workout and these luxurious ones. I've also heard great things about Lululemon's customer service, their ability to tailor pant length in the store, and return policy. Also -- these pants felt extremely durable and I'll be putting them to the test over the course of my spring workouts and blogging about how they last. If we look at this from the stand point of a price/wear value... I'm sure they'd end up being a solid investment. Do you need $118 pants to workout? No... but if you have the money to invest in some amazing feeling and performing pants would I recommend these? Hell yes! For more information on the Fast & Free Collection click here.